I am such a big fan of statistics that if I had been born in the US, I would probably have become a baseball fan. Sadly, I wasn’t destined to be born in the land of the free and the home of the brave, and had to make with the relatively statistic free world of soccerball instead of the giddy excitement of double plays and inherited runners. Anyway, I only mention my love of statistics because I just read that speed cameras can reduce serious and fatal accidents by 27%. When I lived in the UK I hated them just like everyone else, but now I kind of miss them. Since moving to South America, I haven’t seen a single speed camera, and I think I am right in saying that there are none whatsoever in at least some of the countries round here. It turns out that about 6,000 of them in the UK, while the closest rival in Europe is Germany with 3,000. So what’s all this about these frankly annoying cameras being lifesavers? Well, a study was carried out by the good fellows of the University College London for the RAC and it was a bit of a mixed bag of results if we are being perfectly frank. For a start, there was a bit of a surprise in the fact that of the 551 camera sites monitored, 21 of them have more crashes since a camera was installed there. However, overall there was a reduction of 15% in the number of accidents taking place after a camera was put in place in a certain location. Strangely, it seems that there are marked regional differences to be seen in these results too. 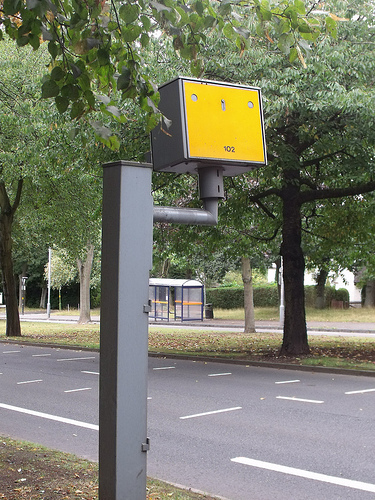 For example, in Merseyside the 33 speed camera sites saw a 5% increase in serious and fatal accidents, while in Leicestershire and Rutland the 15 sites had a 54% drop. It seems clear that these cameras do a good job in keeping up safety, but I am not going to be the person who is brave enough to incur the wrath of South American drivers by suggesting getting some here. This entry was posted in News and Views, Reports and Surveys by Robert Bell. Bookmark the permalink.